Suddenly, a dark purple blob of gay appears and snatches Hunny away. 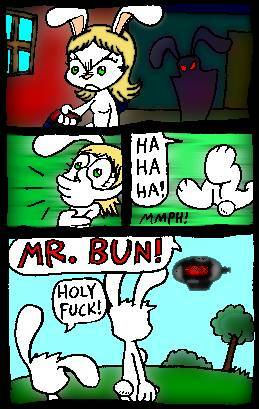 MR. BUN! WE'VE CAPTURED YOUR GIRLFRIEND, HUNNY, SURRENDER! Rt. 31 PANDAR.